After several years of great service from my Icom IC-718 I've replaced it with a shiny new Icom IC-7200. I really liked the IC-718. I had added the W4RT dual filters to mine and that made for a nice HF rig that had great performance in a compact, easy to use package. I always said the only way Icom could have improved the IC-718 was to replace the audio chain DSP with a nice IF chain DSP like they have in thier higher end rigs like the the "Pro" series. Perhaps they heard me. The "Big Brown Truck" brought the IC-7200 yesterday. After only one evening I've decided I really like this radio. The variable DSP filtering simply blows away the mechanical filters I had in the IC-718. You can adjust the bandwidth for CW and USB modes in 50 Hz increments. The radio remembers the "wide", "medium", and "narrow" selections you make for each mode. The display is nice and crisp although a little smaller than the old radio. It is very easy to read. I'll be writing more as I gain experience. I was able to try this radio and a Yaesu FT-450 and this one seems like the clear choice to me. If you are in the market for a $1,000 class HF rig this one bears close consideration. The old IC-718? Fear not, I didn't put it out to pasture and it's not gathering dust. A Ham down South bought it and I've already had a note from him that it works great and he's enjoying it. A lot of times when I talk to Hams that are new to HF operation they mention how bad noise (QRN) and interference (QRM) can be. They often wonder whether adding an external DSP or internal crystal filters will eliminate the problem. Well, these accessories can help but new operators, and perhaps you as well, may already have one of the most effective tools in combating interference and noise. First off, if the band is just generally noisy like 40 and 80 meters so often can be, use the RF Gain control to reduce the static and noise levels you hear when you are not tuned to a signal until the noise is just barely audible. Then starting scanning for stations to work. If you're not trying to snag some rare DX station or pass an emergency message then there's no reason to make your rag chew tedious by hearing all that noise. As long as you can hear the other station does it really matter if the meter indicates S9 or S2? 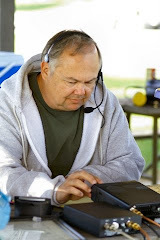 Next, lets say you find a station to work but there is some QRM or QRN making it tough to hear them in spite of the adjustment you made earlier. 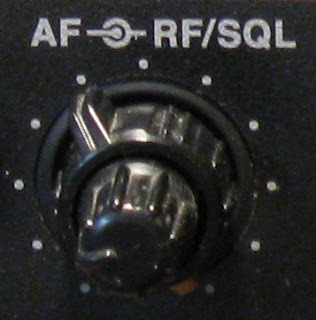 Try this: Turn the RF gain control to minimum. You may hear nothing at this point. Then, turn the volume control up very high. You still may not hear anything. Now, use the RF Gain control (not the volume control) to control the volume of the station you want to hear. A lot of times this will make the easy to copy while drastically reducing the junk you don't want to hear. Remember to turn down the volume control before you increase the RF Gain when you move on to the next QSO or things will get VERY loud! Once you practice this a little and get used to it you'll wonder how you ever got along before.